This site makes finding filler items on Amazon a breeze. Here’s a tip you’ll want to keep in mind if you’ve got any plans to visit Amazon anytime soon. 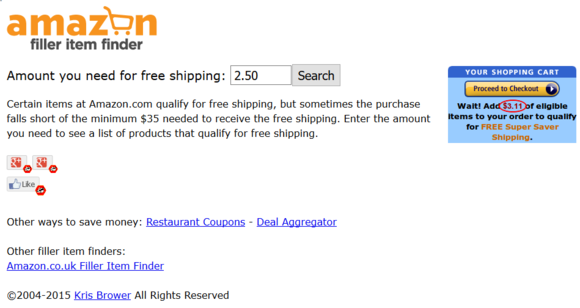 The online retailer is a great place to shop, but it’s easy to fall short of the site’s $35 free-shipping requirement. The choice between spending another two bucks or forking over more for full-cost shipping is a no-brainer. 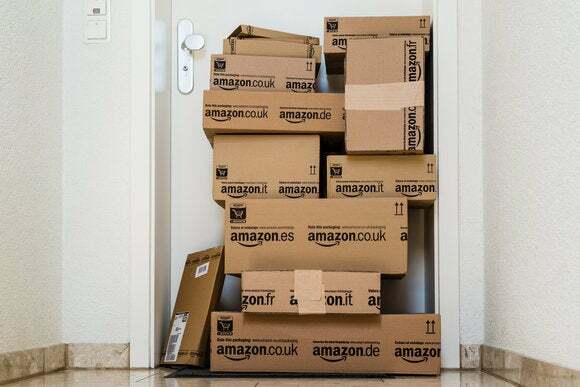 The company tries to assist with some suggestions, but if you’re looking for an alternative, check out Amazon Filler Item Finder, which surfaced on Reddit earlier this week. This site is very basic and simple to use. At the top you just enter the amount that you’re short and Filler Item Finder creates a text-based list of all the items within that price range. Say you’re short by $2.50, Filler Item Finder will show you items starting at $2.50 and up. To make it easier to find something, items listed with bold font are popular products, while very popular products also have a picture added. You should be able to find an item that is somewhat useful, rather than simply tossing random crap into your cart to meet the free shipping requirements. Once you’ve decided on an item, click on it, and you’ll be taken to Amazon where you can add it to your cart. The site is ad-free, but presumably site creator Kris Browser makes money via Amazon affiliate links. Currently, there are versions of Filler Item Finder for the U.S. and U.K. stores.